JNN 07 Nov 2014 New York : The United States is the “world’s leading terrorist state,” based on its deadly, CIA-run operations in the likes of Nicaragua and Cuba, according to new op-ed by historian and social philosopher Noam Chomsky. The longtime MIT professor went on to detail some of the instances assessed in the CIA’s review and why they amount to an American regime – “the world champion in generating terror” – bent on antagonizing its opposition around the world. “The first paragraph of the Times article cites three major examples of ‘covert aid’: Angola, Nicaragua and Cuba. In fact, each case was a major terrorist operation conducted by the US,” Chomsky wrote. “Washington joined South Africa in providing crucial support for Jonas Savimbi’s terrorist Unita army in Angola,” wrote Chomsky. 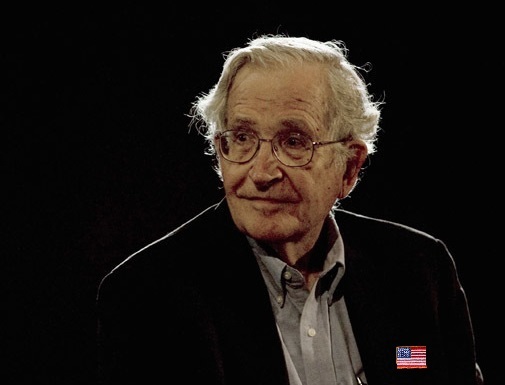 Chomsky also mentioned the decades-long “murderous and destructive campaign” the US aimed at Cuba, including the failed Bay of Pigs invasion and a harsh embargo that continues to this day. “The toll of the long terrorist war was amplified by a crushing embargo, which continues even today in defiance of the world. On Oct. 28, the UN, for the 23rd time, endorsed ‘the necessity of ending the economic, commercial, financial blockade imposed by the United States against Cuba,’” he wrote. Chomsky mentioned the dirty wars the US brought to opposition in Central America in the 1980s and current airstrikes in Syria and Iraq aimed at Islamic State, a jihadist group, like others, compiled and strengthened through American interventions in the Middle East, namely the recent Iraq war, he wrote. He ended with a note on President Barack Obama’s unmanned drone regime patrolling the skies in the likes of Pakistan and Yemen. “To this we may add the world’s greatest terrorist campaign: Obama’s global project of assassination of ‘terrorists.’ The ‘resentment-generating impact’ of those drone and special-forces strikes should be too well known to require further comment,” he wrote. This entry was posted in AFRICA, Asia Pacific, Iran News, Iraq News, Middle East, United States and tagged Angola, Chomsky, Cuba, Drone Strikes, Noam Chomsky, President Barack Obama, South Africa, World Terrorist Organistions. Bookmark the permalink.